"Is Europe facing a population crisis?" Research scholar Raya Muttarak gave an interview about human populations in climate change research to the Austrian radio station FM4 in the show Reality Check. Muttarak referred to a recent study that looks into forecasting societies’ adaptive capacities to climate change that she published together with POP Program Director Wolfgang Lutz in the journal Nature Climate Change. 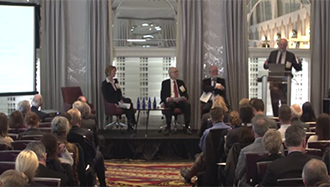 Watch all the Talks & Discussions of the Conference on our YouTube channel! 01.12.2016 Which factors will decide the future of humanity? 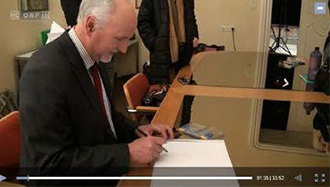 A WU TV production (in German) on the occassion of Wolfgang Lutz being WU's Researcher of the Month (December 2016). 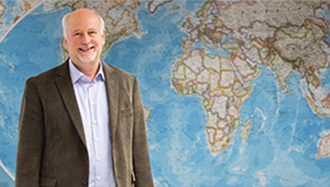 Wolfgang Lutz and his team have been cooperating with international demographics experts to investigate expected future population developments and how to make it possible for a future population of nine billion to live together in peace. Their results indicate that education plays a much more important role than previously believed. 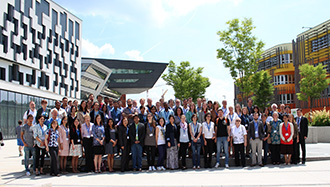 In June, Wittgenstein Centre organised the REVES 2016 Meeting and the Summer School "The Demography of Health and Education" (funded by WWTF, City of Vienna, Wien Kultur). Watch the summary here. 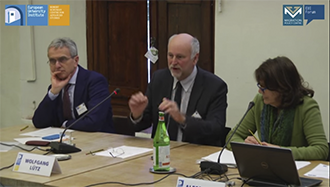 The European University Institute’s Forum on Migration, Citizenship and Demography invited Wolfgang Lutz, Gustavo De Santis (University of Florence), Philippe Fargues (MPC), and Juan Dolado (EUI), to discuss the future of Europe’s demography. 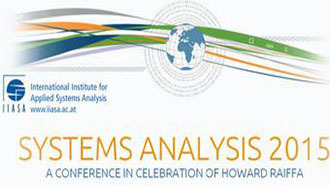 Watch the closing session panel on the outlook for systems analysis at the IIASA Systems Analysis 2015 conference, with Don Saari, Martin Lees, Luís Bettencourt, Nadya Komendantova, Raya Muttarak, Stephen Robinson, Peter M. A. Sloot, and Pavel Kabat. 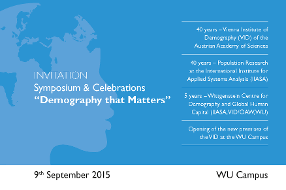 40 years population research at IIASA, 40 years Vienna Institute of Demography and 5 years Wittgenstein Centre. Why do women remain childless? What are the most important factors in the life histories of childless women? Are these factors universal or did you find country differences? What advice would you give to a young woman who does eventually want to have children? 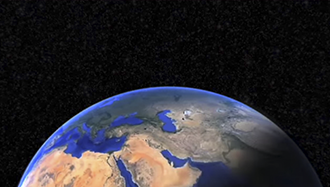 23.10.2014 Will the world's population stop growing? 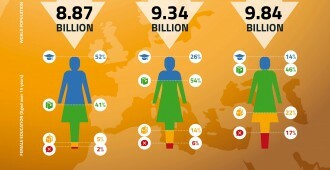 Check out one of the key points from the latest WIC projections at one glance on our infograph: Female education will make the difference. Interviewed by the business magazine "Trend" of the Swiss Radio SRF Wolfgang Lutz describes why the world population will decrease and what consequences this will have in the future. Wolfgang Lutz discussed border issues on demographic research and projections by educational level. 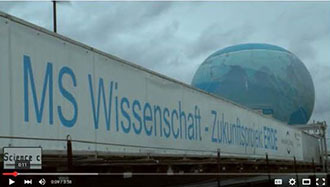 Wolfgang Lutz gave a keynote presentation at the UNECE Regional Conference "Enabling Choices: Population Priorities for the 21st Century" in Geneva, 1-2 July 2013. 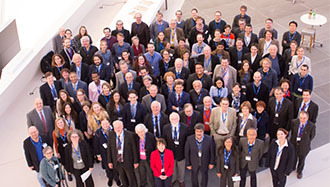 Researchers from the Wittgenstein Centre played an important role in making the IIASA 40th Anniversary Conference entitled "Worlds Within Reach. 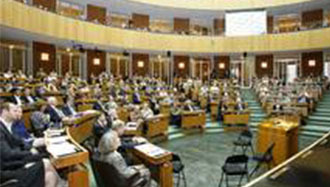 From Science to Policy" a great success. 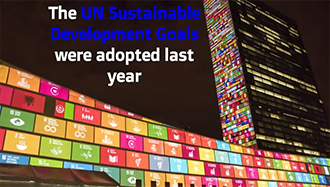 The first Aging Demographic Data Sheet that comprehensively presents new measures of aging for all countries in the world and world regions, including projections for 2050, was presented at the high-level Gaidar Forum on 18 January 2018 in Moscow. 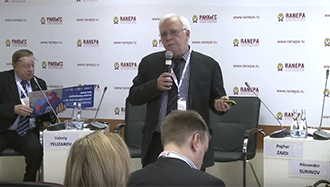 In the dedicated session at the conference, Sergei Scherbov presented the methodological background of the applied alternative indicators of population ageing and the major results. 29.07.2017 Who came during the 2015 European refugee ‘crisis’? 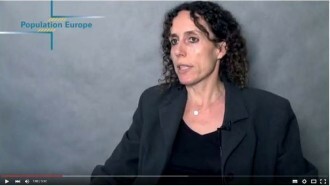 Judith Kohlenberger from the research group “Demography of Austria” was interviewed for Talking Migration about recent results from the “Displaced Persons in Austria Survey (DiPAS)”. 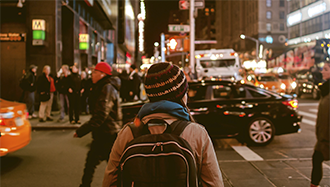 Talking Migration is a podcast produced by Dr Clara Sandelind at the University of Sheffield, supported by Sheffield Migration Research and the Centre for Research in the Social Sciences at the University of Huddersfield. 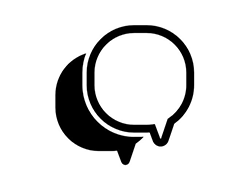 The podcast aims at bringing academics, stakeholders, policy makers, NGOs and activists together in conversations about issues in international migration today. The contribution “Who came during the 2015 European refugee crisis?” can be listened to here and is also available on iTunes. 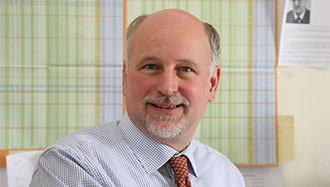 IIASA World Population Program Director Wolfgang Lutz gave a talk entitled “Human capital as the root cause of development and policy priority for the 21st century” at the Institute of Science and Technology Austria (IST Austria) as part of the IST Science and Society Lecture series. In his talk he discussed the state-of-the-art and multi-dimensional demographic analyses of changing population sizes and structures. 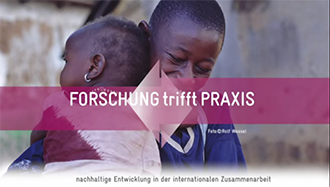 Wolfgang Lutz, Zakarya Al Zalak and Judith Kohlenberger were interviewed by Deutsche Welle journalist Kerry Skyring about the background and human value of refugees, results from a recent study conducted at the Wittgenstein Centre. Wolfgang Lutz was awarded the 2016 Mindel Sheps Award for his outstanding contributions to demographic methodology. 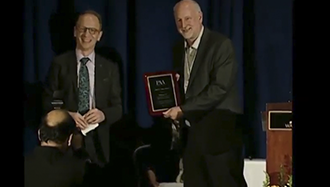 The award was presented by Hans-Peter Kohler and accepted by Wolfgang Lutz at the Population Association of America meeting on 1 April 2016. 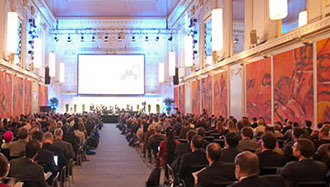 To generate ideas and share knowledge of sustainability solutions, IIASA, the National Academy of Sciences, and the Austrian Embassy in Washington have co-sponsored a symposium under the theme "International Scientific Cooperation for Global Sustainability"
Wolfgang Lutz gave an interview on migration and a recent study on who are the refugees in Austria to the Austrian radio station OE1. 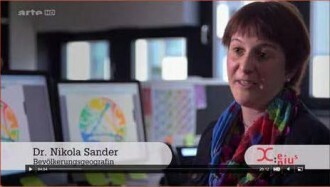 Together with Judith Brandner he discusses how migration has changed over time in the show Radiokolleg (in German). 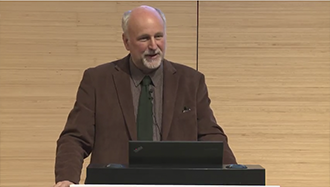 Watch Wolfgang Lutz speaking about "What should be the sustainability criteria in systems models?" in Session 1 at the IIASA Systems Analysis 2015 conference. 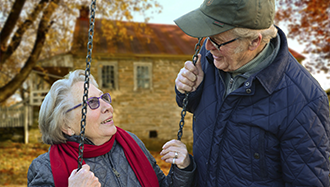 Warren Sanderson and Sergei Scherbov explain why the substantial changes in life expectancy and health status have rendered traditional demographic measures inadequate for the analysis of aging at the population level in the 21st century. 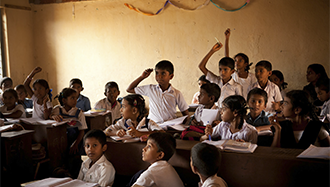 What impact did education have oon the development of our societies? 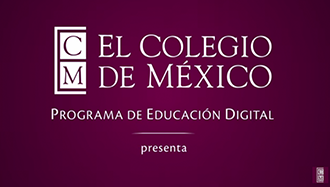 How can you complete missing data about edication in a reliable way? What are the main obstacles in this process of data reconstruction? Once this data is completed, what can we learn from it for the future? 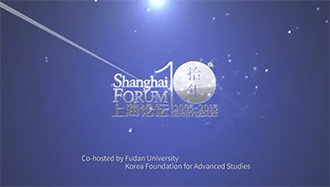 Sergei Scherbov was invited to give a presentation on reassessing aging at this event and to participate in the round table discussion entitled “Dealing with Asia’s Aging Challenges” which was chaired by Professor Xizhe Peng (Fudan University). 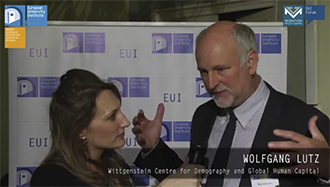 Wolfgang Lutz explains the difference between the estimated population growth published by the United Nations Population Division and several universities and the new 2014 Wittgenstein Centre projections. 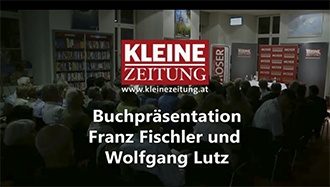 Wolfgang Lutz shows how universal primary and secondary education for all young women will slow population growth, generate greater economic growth, improve people's health, reduce population's vulnerability to natural disasters, and enhance democracy. 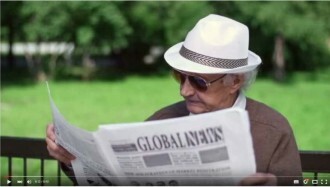 Scherbov describes in short how to rethink age and aging, explains the concepts of prospective age, prospective old age dependency ratio and prospective mean age, and the importance for public policies. Together with Kofi Annan, Peter D. Sutherland, Martin Schulz, William Lacy Swing, and Khalid Koser, Wolfgang Lutz was on the Panel on "Immigration - Welcome or Not?" 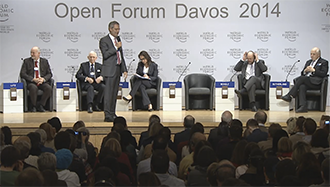 at the World Economic Forum 2014 in Davos. Marc Luy in an interview to Austrian Radio station Ö1 on May 16th in the show “Abendjournal” on life expectancy. A New Immigration Policy for Singapore? WIC Director Wolfgang Lutz discusses the demographic challenges in Singapore and Hong Kong on CNBC. 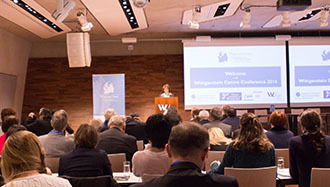 The Wittgenstein Centre for Demography and Global Human Capital contributed to the exhibition "MS Wissenschaft" that is sponsored in Austria by the FWF. 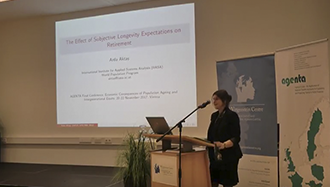 Arda Aktas discussed the effect of subjective longevity expectations on retirementat the final conference of the AGENTA project, organized by the Wittgenstein Centre (IIASA, VID/ÖAW, WU) between 20-22 November 2017 in Vienna. 21.03.17 Are the 40s really the new 30s? 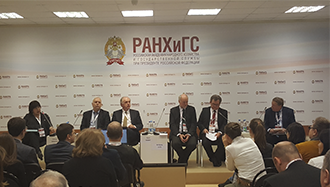 The first Russian Demographic Data Sheet, a collaboration between IIASA, the Russian Presidential Academy of National Economy and Public Administration (RANEPA), and the Russian Federal State Statistics Service (Rosstat), was presented at the high-level Gaidar Forum on 13 January 2017 in Moscow. 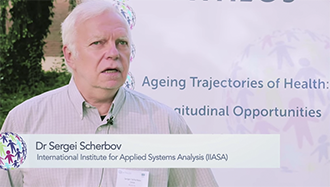 In thies dedicated session, Sergei Scherbov presented the methodological background of the applied alternative indicators of population ageing and the major results. 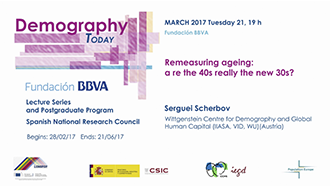 05.-07.12.2016 Wittgenstein Centre Conference: "Variations on the Themes of Wolfgang Lutz"
Sergei Scherbov describes how people age differently in different countries and why new developed measures that are based on the characteristics of people are better suited to study aging. Barbara Stöckl talks to Wittgenstein awardee Wolfgang Lutz about our changing world and our future challenges in science.talk by ORF. 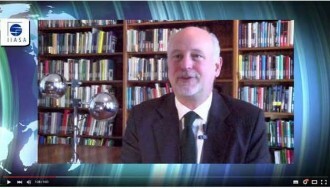 More information to the show is available on the ORF website. 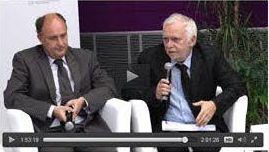 During the European University Institute’s Forum on Migration, Citizenship and Demography on 4 February 2016 in Florence Wolfgang Lutz was interviewed to the question how increased global education will have an impact on migration in Europe. 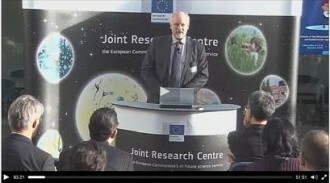 Wolfgang Lutz gave a lecture under the title "Future demographic trends in Europe, Africa and Asia, and implications for migration" at the Joint Research Institute (JRC) of the European Commission. Does the recession influence birth rates? Does it make a difference to family planning in times of economic crisis what kind of job people have? Are there factors like family support, social networks or the infamous "biological clock" that are helping to overcome these worries? 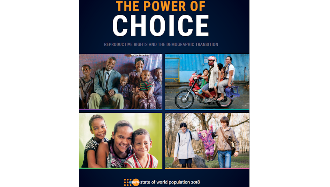 What policies could encourage people not to postpone their plans to have children in times of economic crisis? Sergei Scherbov participated as a panel member at the launch of the World Bank Regional Report on Aging in Europe and Central Asia. Wittgenstein Centre researchers Raya Muttarak and Nadia Steiber discuss their latest research on smoking in Austria in the radio show Reality Check on FM4. 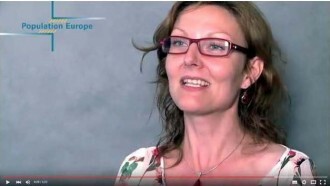 Elke Loichinger spoke to Vienna's Radio FM4 Reality Check show about a new study showing the benefits of population aging. 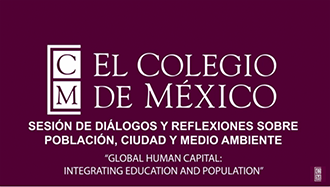 Wolfgang Lutz describes in short how demographic dynamics contribute to the understanding of changes and trends in human capital, the main challenges in this regard for Latin America, and the role of migration. 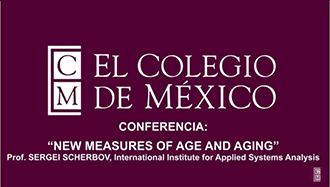 Sergei Scherbov presents his groundbreaking research on Aging at the El Colegio de México. 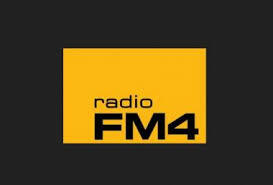 Lutz spoke to Vienna radio station FM4: Reality Check radio show about the importance of women's education. 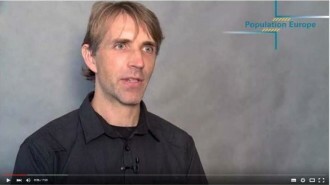 "Singapore's current birth rate is ok." Razor.tv features what renowned population expert Professor Wolfgang Lutz thinks about Singapore's fertility rate, and how a Total Fertility Rate (TFR) of 2.1 might not be ideal. Topic: "Education is the demographic dimension that matters most for development"
The inaugural Wittgenstein Symposium Demography, Education and Democracy - A Global Perspective discussed whether international development should be refocused toward providing aid to targeted education and health objectives, and if so, how this could be achieved.